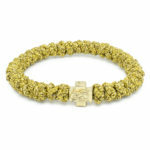 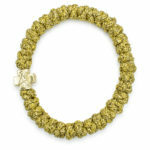 Gorgeous gold prayer rope bracelet handmade and authentic. 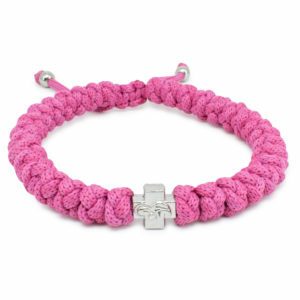 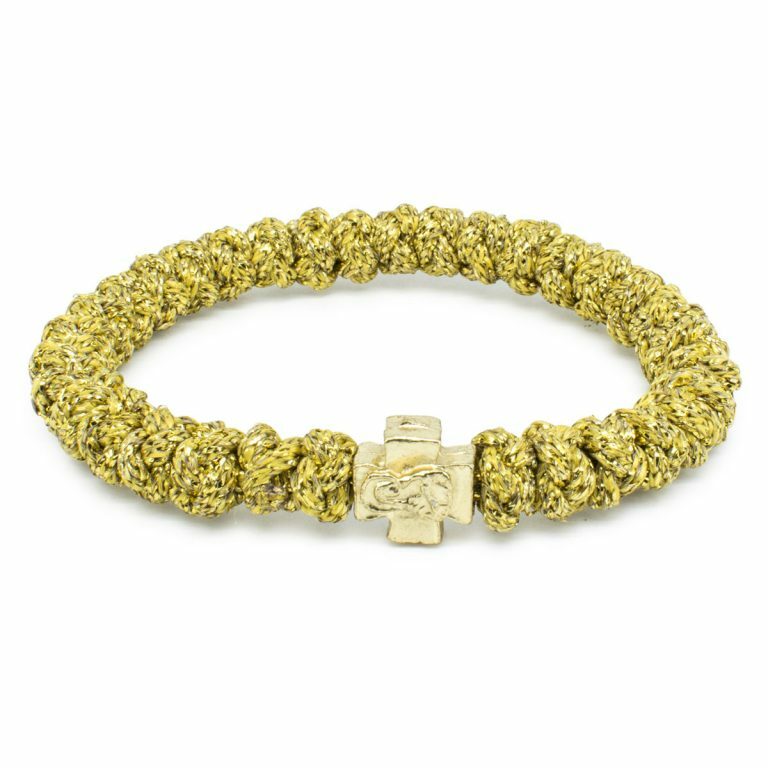 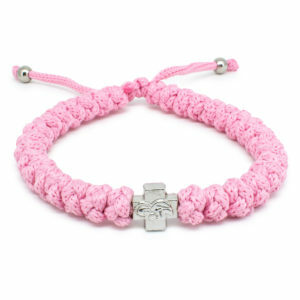 Skilfully made out of non-allergenic rope consisting of 33 knots and one metal cross bead. On one side of the bead the profile of our Holy Virgin Mary and on the other an art-deco cross.